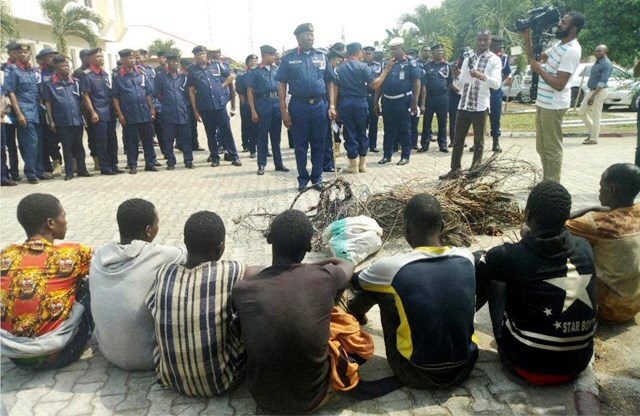 Commandant, Nigeria Security and Civil Defence Corps (NSCDC), Mr Stephen Lar (middle), with other NSCDC's personnel, parading suspected cable vandals at NSCDC's headquarters in Calabar, last Thursday. 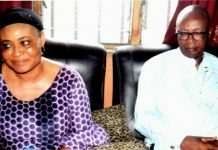 The Ijaw Youth Council (IYC) says it will continue to promote the ideals and interest of the Ijaw people who have for long been marginalised and relegated to the background. Speaking at the IYC 20th Kiaima Declaration anniversary to celebrate Isaac Boro, the National President of the Council, World Wide, Oweitaemi Perekumo Rowland, regretted that the Ijaw people had been the most oppressed in the world. 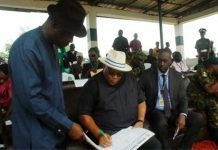 “We will do all within our capacity to promote the ideals of Ijaw people in conjunction with all members because the people have been marginalised and relegated to the background”, he stressed and thanked the elders of the Eastern zone of the council for identifying with the body and supporting it. Narrating the history of the Kiama Declaration, one of the founding fathers of IYC, Mr T.K. Ogoriba, described the legend, Isaac Boro, as a mentor of the oil protectorate, which started from 1914 to 1939. According to him, “we will use the IYC as a platform to address the problems of the Ijaw people,” while enjoining the members not to relent in their efforts and contributions towards the emancipation of the Niger Delta region. Also speaking, the President of National Youth Council of Nigeria (NYCN), Amb. Saraigbe Sukubo congratulated the IYC for organizsing the event, saying that the Kiama Declaration was an umbrella of 40 clans but now embraced by more which gave the Ijaw the impetus to produce the first core youth as national president.